Tresorit Solo is designed for individual users. Protect your personal and work files with end-to-end encryption & Swiss privacy. 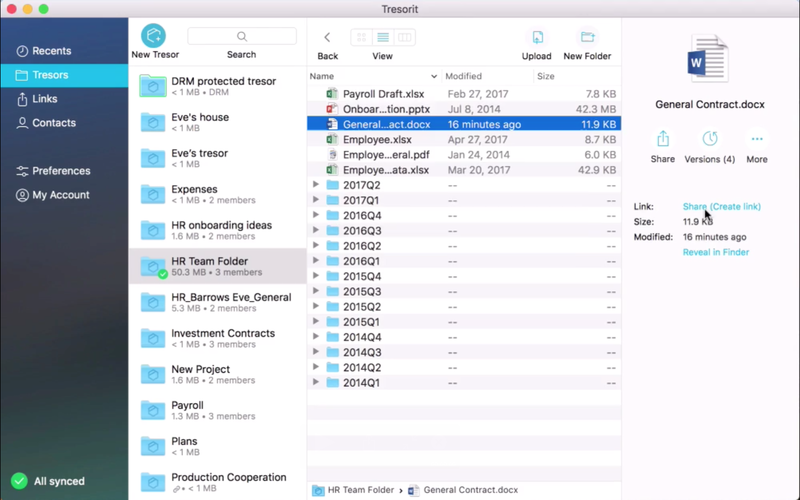 Tresorit Solo comes with more than enough storage space for storing all of your confidential work files and sensitive private documents. Access your files from up to 10 devices. 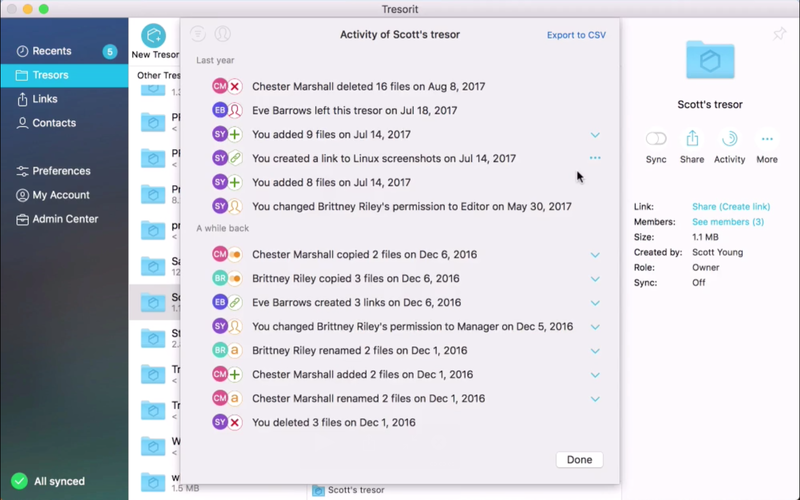 Tresorit is available for Windows, Mac, Linux, iOS, Android, Windows Phone and Blackberry and even from your browser. Share files, folders & tresors via Link. Access only requires a browser, can be protected by passwords and revoked with a click anytime. Recover lost files deleted accidentally or due to a ransomware attack. Access and roll back to any document’s previous versions. You won't have any lost versions ever again. 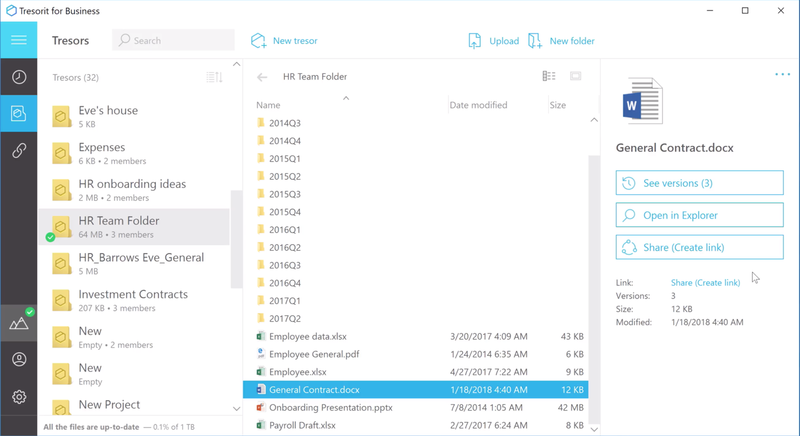 Share folders with a link, and keep control: Choose between manager, editor and reader permissions, set up expiration dates and email domain policies. Access and roll back to any document’s previous versions without limitations. Keep track of what has been changed on Activity Wall. Share folders with your partners or friends with a link, and make sure that they'll be the only one who accesses it. Share files with just a click, and set up download limitations, expiry date and password protection. Tresorit is HIPAA compliant and offers HIPAA BAA (Business Associate Agreements) addendums to Business and Enterprise customers. Disaster proof and protected by 24/7 physical security, our datacenters are also compliant with HIPAA, ISO27001:2013 and a host of other certifications. No, unless you explicitly choose to share the files with them. Tresorit encrypts data before it leaves your device, so it’s not accessible even if someone has access to the corporate network. This ensures security even if the internal system is compromised. Tresorit wants to support people in the world who are doing good things and who want to protect their sensible information. For qualified nonprofit organizations and educational institutions, there is special pricing available. 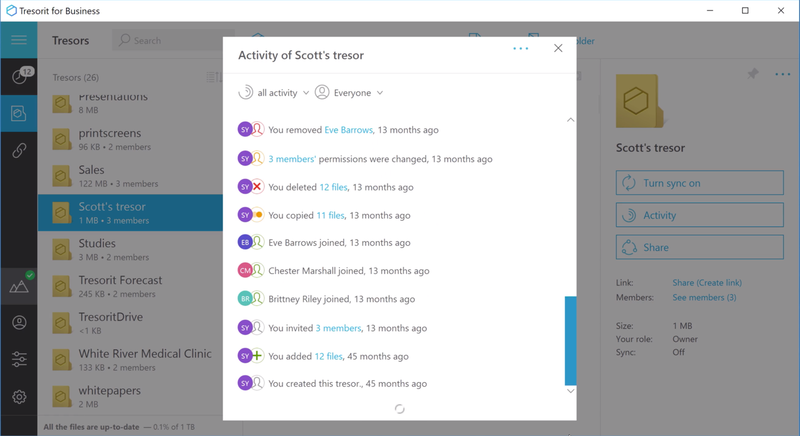 Qualified organizations are eligible for a Tresorit Business subscription with 10 users for completely free. All we ask is to be allowed to share their story of how they are benefiting of Tresorit. To apply for this special discount, please fill out the Tresorit for Nonprofits application.